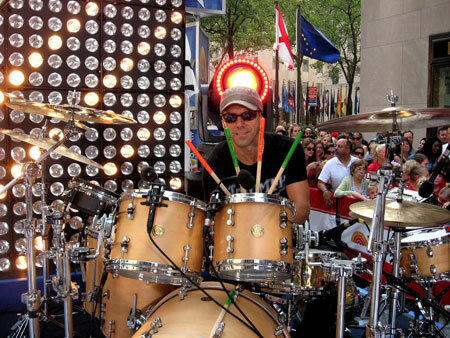 -Van Romaine is found beating his drums in the streets of New York. Now working with Enrique Iglesias and Nena, traveling the world using a new water-based drumstick grip called, Stick Stuff. Stick Stuff can be customized for grip-ability on your drumstick of choice. 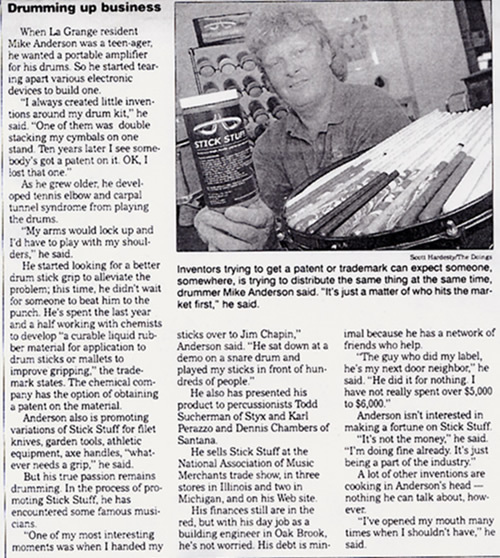 -A short conversation at a bus stop at LAX lead Van back to Mike Anderson with interest in a liquid product for coating his drumsticks in a grip he can call his own. The Stick Stuff Grip was customized adding two different type grips, one of a thin not so grippy and the extra grip to give him just the right feel. -Stick Stuff is based out of Chicago Illinois and has been shipped to drummers throughout the world with their interest in customizing any drumstick. Over the past 10 years, Stick Stuff has had rave reviews, creating the best grip they have ever used.